Like everything else, heaters need to be properly maintained in order to ensure good working condition over a lengthy period of time. Heater maintenance is fairly complex and therefore isn't something home owners can do on their own. 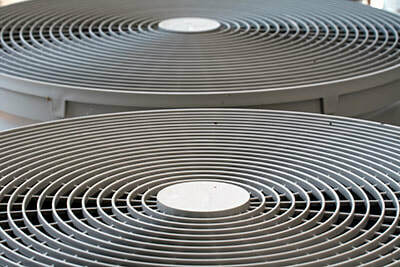 In fact, merely disassembling a heater could lead to trouble if you don't know what you're doing, which is why you should have Boerne Air Conditioning Experts take care of business. When is the best time this? We'd say spring or summer. It seems odd to say – most people forget that they have a heater until the first chilly days come along. Depending on the complexity of our maintenance procedure, you could expect some downtime on your heater, meaning it's best done on warmer days. Furthermore, maintenance ahead of time guarantees that the heater will be functional when it's supposed to – since most people won't think of turning their heaters on during the spring or summer, they have no way of knowing how well the unit endured the previous winter. Despite all that, you might still be wondering whether you really need these services or not. After all, we've all heard stories of heaters working for years or decades without interference. But there's no guarantee that this will be the case with you – between two exactly same pieces of equipment, one of them could work for a decade while the other could break down in months (or even sooner). Why take the risk? 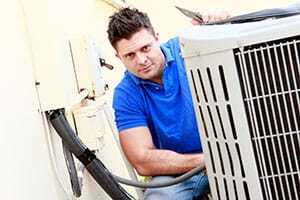 A lot of AC companies will use heater maintenance as an opportunity to charge extra services to the customer. You know, the good old: "Oh, no, this isn't looking good, we'd better replace it". Unfortunately, this is standard practice in our industry, and it's a way for contractors to make an easy profit on uninformed companies. This way of doing business goes against every principle our company has. Our goal is to fit our customers with excellent heaters that will serve them for a long time, not squeeze out a profit wherever possible. When you have us over, you won't have to worry about us pulling dirty tricks on you – every step of our maintenance procedure will be standard issue and we won't install any new parts that aren't necessary. The same goes for working hours: we'll never purposefully take our time so we can charge you extra for more time spent over. While not rushed, our heater maintenance will be done swiftly so that you and others under your roof can get back to your routine, but with the addition of an improved heater. Still unsure how important maintenance is? Give us a call and we'll be happy to explain the various ways in which heaters can break down, most of which are initially inconspicuous and only become apparent when too much damage is done. Gas heaters, electric heaters and everything in-between – we'll service your heating equipment using industry-standard methods, top-notch parts and with a work ethic that says we can't budge until we know that the heater is in pristine condition.